2019 is shaping up to be quite a year for General Electric (GE). In its fourth-quarter earnings release for its 2018 fiscal year, the management team at the conglomerate announced some important developments that point to recovery in the business and a real, concerted focus on realigning the enterprise in a way that will, in the future, return true value to the entity’s shareholders. While some issues undoubtedly remain, what we saw from the quarter, and from management specifically, should be construed as bullish and will likely establish a floor in the firm’s share price for the foreseeable future. In an article I wrote earlier in January, I made the case that investors should expect strong performance for General Electric’s Aviation segment. This was drawn not only from historical data, but from my understanding of the space in which the segment derives its sales from. Sure enough, as can be expected, General Electric failed to disappoint. All data provided by management points to a segment that has never been healthier. Take, for instance, a look at the Aviation segment’s revenue during the quarter. According to management, sales generated by the segment in the fourth quarter of last year totaled $8.46 billion. This represents an increase over the same quarter of 2017 of 20.6%. For the full year, sales came in at $30.57 billion (the first time the segment has ever gone above the $30 billion mark). This rise implies an increase over 2017’s $27.01 billion of 13.2%, meaning that the segment’s revenue accelerated toward the end of last year. I would argue that on the bottom line the picture was even more robust. During the quarter, Aviation generated segment profits of $1.72 billion, which implies an increase of 24.1% over 2017’s fourth-quarter profits of $1.39 billion. The firm’s segment profit margin during this period was 20.4% compared to the 19.8% seen a year earlier. Full-year performance for the segment totaled $6.47 billion (21.2% of revenue), up 20.4% year over year when the segment generated $5.37 billion (19.9% of sales) in profits. Not only was quarterly performance for Aviation robust, the future continues to look bright for the firm in that regard. During the quarter, it generated $8.75 billion in orders, up 11.7% from the $7.83 billion seen a year earlier. For the full year, orders were $35.52 billion compared to 2017’s reading of $29.14 billion. This is really monumental because the fact that continued orders coming in above and beyond sales for any given period means that future sales are almost certain to be above what has been reported in recent quarters. Given that Aviation is a cash cow for General Electric, this is precisely what you want to see in a turnaround of the conglomerate. While General Electric’s Aviation segment (and some of its other operations) fared really well during the quarter, management acknowledged that the entity’s Power segment is still experiencing rough times. During the quarter, sales fell to $6.76 billion, down about 25% from the $9.01 billion seen a year earlier and bringing total 2018 revenue for the segment down from $34.88 billion in 2017 to $27.30 billion last year. That’s a drop of 21.6%. What’s more, while orders in the quarter were higher than sales, coming in at $7.92 billion, they were still down 19.2% compared to 2017. All of this points to scary times ahead, but according to CEO Culp, the worst is nearly over. In his call with investors, he indicated that pain should reach a high probably this year, but that following 2019, in 2020 and beyond, Power should recover. Seeing as how Power has accounted for the lion’s share of the troubles General Electric has experienced over the past two years, this is encouraging if Culp’s forecast comes to fruition. Of course, management isn’t content to just sit around and twiddle their thumbs regarding this issue. In addition to restructuring the segment, management has cut about 15% of its workforce (about 10,000 people) and believes that it has reduced costs by around $900 million. 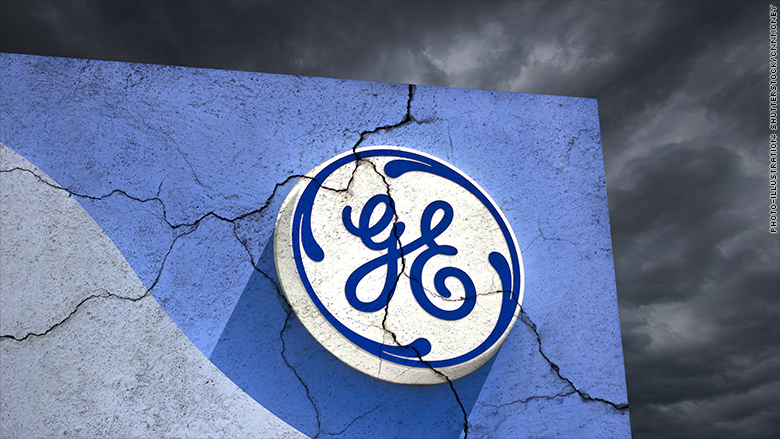 Earlier this year, rumors began circulating that the management team at General Electric may have been in talks to sell the firm’s GECAS (General Electric’s Capital Aviation Services) for a price tag of up to $40 billion. This price target discussed likely would have been the full value of the deal (including debt) and would have put the conglomerate in a better position from a leverage stance. On the other hand, GECAS, even though it fell under GE Capital, fits in nicely with the company’s Aviation segment and was perceived by some analysts as a move signaling the business is desperate for cash. In the conference call with shareholders, management announced, contrary to common practice by businesses that are exploring their options, that it has no intention of selling GECAS. Instead, the company has decided to retain the business, which is a move that I, frankly, prefer because I see anything tying the conglomerate to the aerospace industry as a net positive. Long-term population growth, continued economic growth, and a greater mix of middle class people across the globe will fuel the demand for air travel, so unless the firm can catch an excellent premium, it is better off trying to make this its primary focus. Instead of generating cash through that kind of sale, management said that the firm has already managed to focus some on decreasing leverage through other moves. The decision to slash the business’s dividend last year, plus General Electric’s sell-down of Baker Hughes, a GE Company (BHGE), and its restructured Transportation segment merger with Westinghouse Air Brake Technologies (WAB), will collectively bring in around $10 billion in cash. The company has also signed off on or completed $20 billion in industrial-focused asset sales for 2018, plus it completed an estimated $15 billion in GE Capital sales. Leverage is still a major area of focus for the firm, as it should be, but management is probably wise excluding GECAS from that deal. One small cash drain, but one that investors perceived in a positive light, was the news that the company had decided to settle with the US Department of Justice on the FIRREA investigation of WMC. To get the government to walk away, management agreed to pay $1.5 billion in the form of a civil penalty, with no related criminal penalties or cases known as I type this. This should allow investors who were concerned about the case to breathe a sigh of relief, but the size of the deal does sting some. For several months now, investors have regularly punished General Electric, but there’s only so much pressure the bears can put onto the entity, especially now that it looks like management is succeeding in staging a turnaround. That is why, on the news, shares of the conglomerate soared to close up 11.7%, and it’s also why shares are up 52.6% from their 52-week low point. Admittedly, a lot more work needs to be done, especially with regards to management addressing Power’s tough time in the market, but if we continue to see openness from the entity’s top brass, and if we continue to see moves geared toward optimizing General Electric’s performance, it’s probably only a matter of time before investors can rejoice in knowing that the tough times are, at last, nearly over.